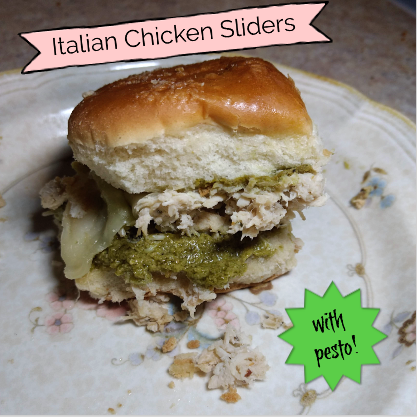 These Italian chicken sliders with pesto are a favorite so far. Minimal prep work, but delicious. If I could eat these every day, I just might. I’ll admit it: I’m a picky eater. To be fair, I was much worse when I was younger. But, the other day I was looking at my new coupons on My Lidl app and there was a 50% off coupon for pesto. YAY! 50% off! But what’s pesto? I’ve heard of it but never remembered having it. So I went out and bought some so I could say, “Hey Mom! Look, I’m expanding my taste buds!” I scoured Pinterest for ideas and saw a bunch for Italian sliders. After perfecting my Slow Cooker Shredded Chicken, I decided to use that instead of ham, pepperoni, or the other meats I saw. 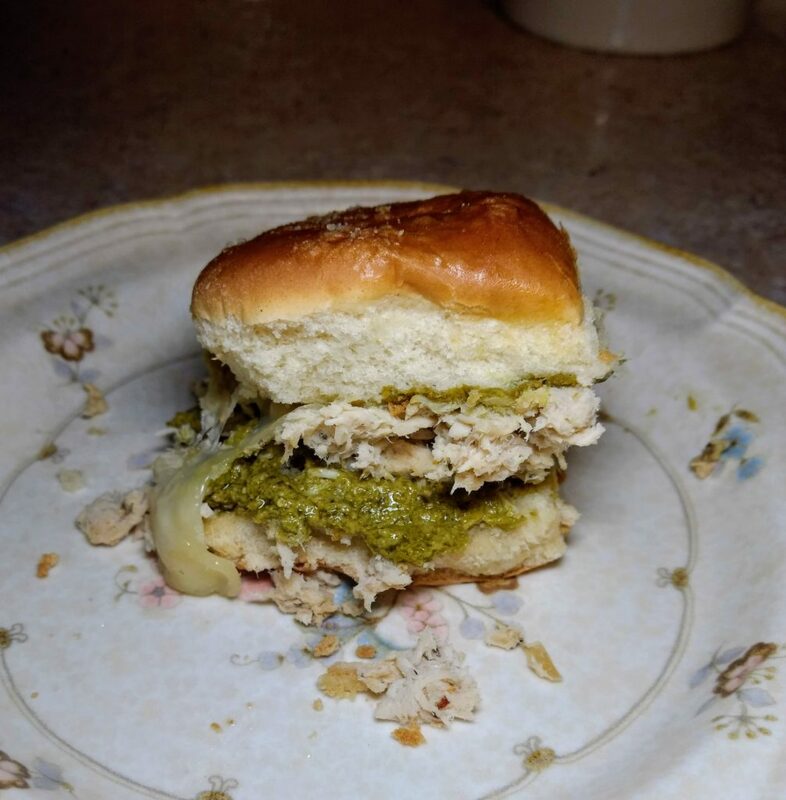 This is what I came up with: Italian Chicken Sliders with Pesto! Make Slow Cooker Shredded Chicken, adding a packet of Italian Seasoning before cooking. I also added some garlic powder to mine, but this is optional. Layer shredded chicken evenly onto bottom buns, and then provolone cheese on top of that. Spread pesto onto top buns (the side facing the chicken!) and place on top of chicken mixture. Spread margarine on top of buns (the side facing up!) and sprinkle garlic powder. I would suggest getting pre-sliced buns. The ones I bought weren’t and made a mess. You can use any type of cheese. I used provolone because it’s what I had on hand. I didn’t melt the margarine before spreading on top, but it might be easier to do so! When reheating, I added more pesto. Turns out I love pesto! It’s already on the grocery list for next week. What are your favorite recipes with pesto?